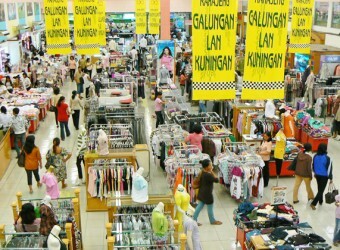 TIARA DEWATA is one of the most popular department stores in Bali and this department store is mainly well known for its supermarket at the first floor. Food court, game center for kids, fashion and swimming pool facility can also be found on the first floor and here the place if you want to buy bags, sandals or shoes at affordable price. It is a supermarket rather than department store. Clothing, goods and food and others can be found here. It was crowded with a lot of local people. I wonder if there is something particularly new. I thought that it is a place to relax for local people.